IHP – Only eight years separate Alan Whiteside’s HIV/AIDS: A Very Short Introduction: 2nd Editionfrom the original edition of 2008, but the sticker on the cover does not lie: it is a “fully updated new edition”. The content has been updated, the tone has changed too. Reading the original edition filled me with optimism; the 2ndedition made me sad. The global AIDS response as a harbinger, a frontrunner, a pioneer of addressing global challenges with global responses: that is exactly how I felt about it at the time. Almost 17 years after the International AIDS Conference in Durban – where Justice Cameron compared the attitude of affluent countries observing how poorer countries in Africa were unable to provide antiretroviral treatment, with the attitude of watching the Holocaust unfold or accepting the persistence of Apartheid – we seem to have forgotten how innovative the global AIDS response was. 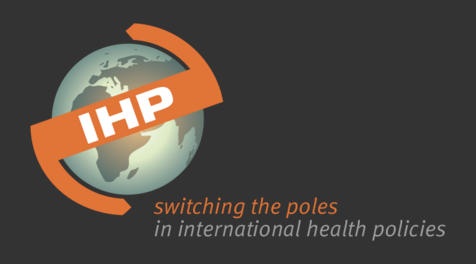 For the first time in the history of global public health, the international community accepted long-term responsibility for a global health policy: a policy that was contingent on humanity being accountable for it. If that was possible for HIV/AIDS, it should be possible for other health policies as well. At least to some extent, that is what happened: international assistance for healthincreased dramatically, from $12 billion in 2000 to $38 billion in 2013. The global AIDS response took a big share of that increase, but even if we subtract all funding earmarked for the global AIDS response from the total, the increase remains impressive (from $10 billion in 2000 to $26 billion in 2013). Conceptually, I agree, on one condition: that the international community accepts shared responsibility for UHC, as it once did for the global AIDS response. However, despite the ‘universal’ in its name, UHC seems to be understood under the old terms of ‘sustainability’: adapted to what countries can afford, in the long run, without international assistance. That does not bode well for the mainstreaming of the (no longer) global AIDS response. Even with the cheaper generic versions of antiretroviral medicines, and even if many poorer countries are less poor than they were in the year 2000, many of them are still too poor for an appropriate domestic response. Neither does it bode well for global health in general. International assistance for other global health programmes is likely to shrink too, but far more important than that (in my opinion): we seem to be returning to the ‘Westphalian’ era, in which all countries, supposed to be equal and sovereign, are also expected to take care of their own problems. In a different paper, David Wilson and Alan Whiteside describe “AIDS at 35” (35 years after the first medical report about the syndrome that was called AIDS later) as “a midlife crisis”. Humanity knows, much better than 35 years ago, what HIV and AIDS are, how they spread and what can be done about it. At the same time, (a big part of) humanity is retrenching behind state borders, leaving countries to their own devices. I wonder if this is indeed a ‘midlife crisis’, or rather a kind of ‘early retirement’: the job of the global response is only half done, but it is leaving the remaining tasks to a system that was unable to start the job in the first place. I prefer to see the present situation of the global AIDS response as ‘growing pains’. The global AIDS response did lead to “a lack of local ownership and dependency mind-set”, as explained in HIV/AIDS: A Very Short Introduction: 2nd Edition, instead of a correct allocation of national and international responsibility. The global AIDS response did not sufficiently spread to other areas of global health and global social policy. Unless we correct these flaws, the global AIDS response will go into (an inappropriately) early retirement. However, our window of opportunity is not closed yet. Even President Donald “I’m Not Representing the Globe” Trump seems reluctant to cut USA programmes to fight AIDS. The exceptionality of the global AIDS response appears to be more robust than we believed it was, at least for the time being. All in all, however, the election of this US President, together with the ‘Brexit’ and other political events in other parts of the world, seem to signal a deep fatigue with globalisation itself, not only with shared responsibility for global challenges. Globalisation is not ‘motherhood and apple-pie’, as some wanted us to believe, it is tough and mostly unfair. Yet I cannot see a viable path towards a pre-globalisation era. How can we deal with global challenges such as global warming, increasing inequality due to tax competition, and global health security, if every country is supposed (and allowed) to decide on its own? Globalisation is here to stay, and we have to manage it. It is difficult, we do not yet have the appropriate tools for it, and we do not even know exactly what global equity would look like. We must discover and learn it, step by step, issue by issue, through trial and error. HIV/AIDS: A Very Short Introduction: 2nd Edition documents one of these important trials. Read it (and keep it, to compare with the 3rd edition of 2024).